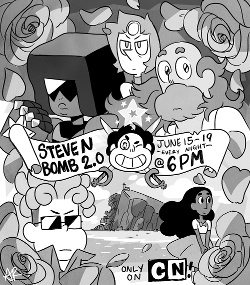 Now, does this make us less likely to see one of the three homeworld Gems we know about in the Crystal Gems 3.0? It’s hard to say. Obviously them holding off on making a change to the opening would be a good sign pointing to big changes soon, but the big question right now is if there are any new lyrics or if it’s just the outfits that have changed. That poster is referencing something, I just can’t put my finger on it.